The Shoreline White Sea Glass Pendant, like many pieces in the Sea glass collection is a one off. It’s 18 mm in diameter and is hand made from recycled silver. One side of the pendant has been given a sand texture, the other side has been hammered to represent the movement of the sea. A wave of recycled silver sits where the sea meets the shore. 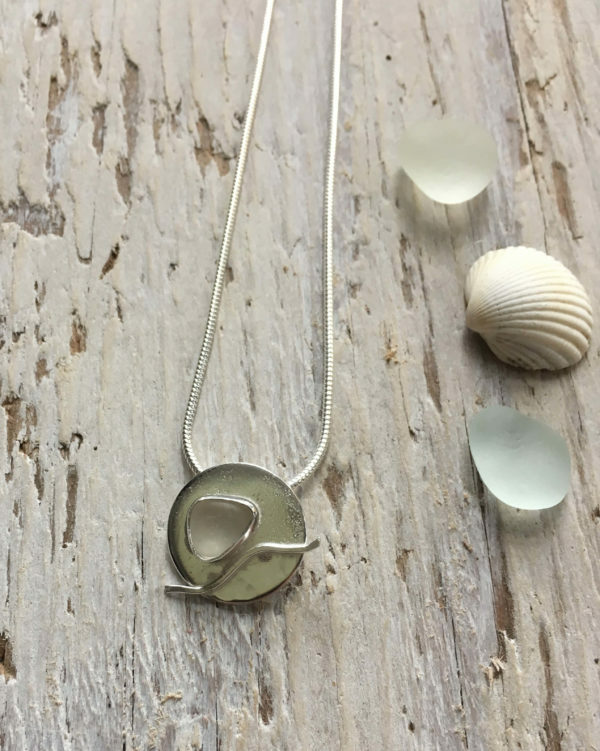 On ‘the sand’ is a small triangular shape piece of beautiful white sea glass. The sea glass is bezel set in recycled silver. The pendant has been hallmarked at the Edinburgh Assay Office. 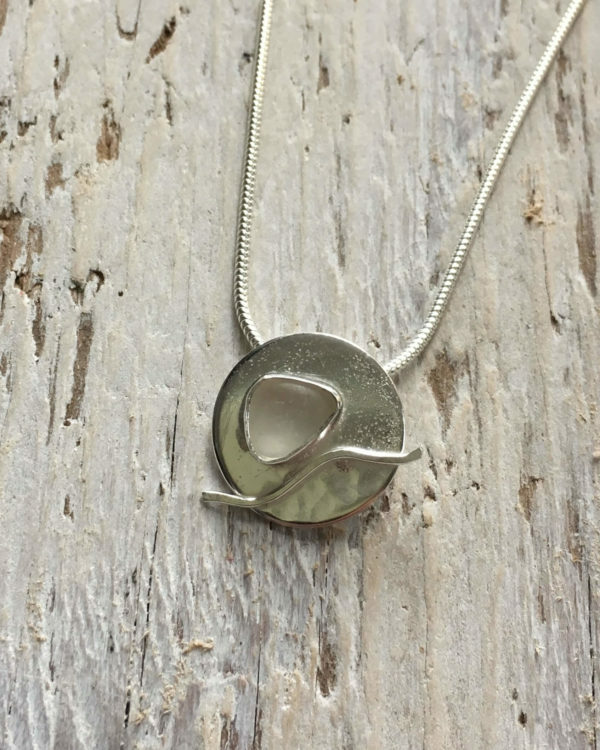 This pendant is perfect for beach lovers everywhere. The pendant pictured is the one you will receive You can choose to have it on a 40 cm or 45 cm sterling silver snake chain. You can choose to have your pendant delivered in a drawstring bag or a recycled box. This pendant is ready for dispatch and will be posted within three days of receipt of your order.